Are you a candidate looking for General Manager (Civil) post in RITES Ltd? Do you know about the latest update of vacancies in Rail India Technical and Economic Services Limited Recruitment 2019? Here is good news for all the aspiring candidates, REITS has released out the official notification after a long wait for the posting RITES Limited GM Recruitment 2019 released 01 official posts for RITES. Rail India Technical and Economic Services Limited is a public sector unit owned by Government of India. 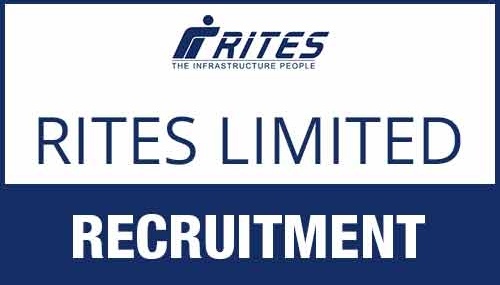 The candidates who have been eligible and eagerly waiting for this opportunity can apply for the RITES Limited Recruitment 2019 on before 3rd May 2019. The RITES offer a golden opportunity to the candidate to build and continue their career in the public sector unit. And it is an opportunity for the candidate to strive for learning new thing and excellence in the same industry. Refer the below-tabulated details and those eligible candidates who are looking for career growth can apply for the post to nurture their soft skills. The Candidate should be Eligible with SAG/ NF-SAG IRSE with a minimum experience of 20 years of Group – A service. The candidate with Group – A service as SAG/ NF- SAG IRSE should have experience in railway construction and Maintenance. The candidate should have knowledge of Contract Management and ability to handle construction projects. Mode of Payment: The Candidates need not to pay any fee to apply the post: General Manager. Step 8: check the required documents need to apply for the post and make ready of the original documents then keep a copy from your original documents. Step 9: Fill up your original and appropriate details which have asked on the application. Step 13: Verify the documents of Vigilance/DAR clearance, No Objection, and ACRs for the Past 7 years to submit to the before Administrative officer (HQ/Board). Step 16: be assured to submit the document before on date 3rd May 2019. The candidate can check the official notification regarding the selection process for the RITES Limited General Manager Recruitment 2019.